Canon India has launched two new portable projectors in India, the Rayo i5 and the Rayo R4 mini projectors, which feature a compact and lightweight build and come with a rich selection of features targeted at the Indian enterprise customers, though they are priced well for everyday users also. Both devices focus on portability and ease of use, offering easy plug-and-play functionality in a lightweight and stylish build, and also come with powerful inbuilt speakers. 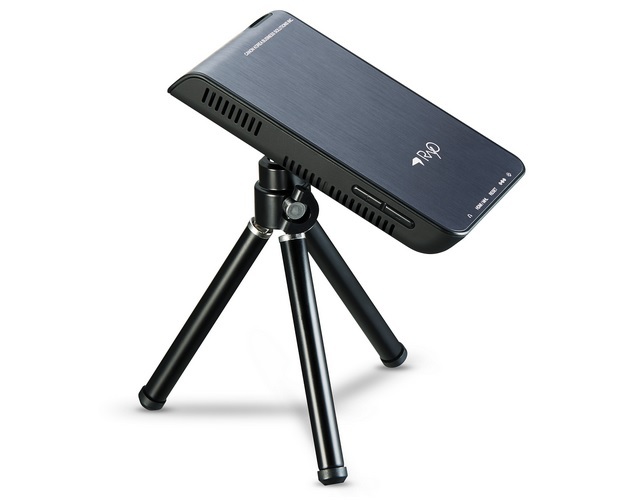 The new mini projectors from Canon are aimed at on-the-go presentations, and as such, the Rayo i5 has omitted the hassle of cables by opting for wireless mobile connectivity via Mirroring/DLNA technology available on Android and iOS smartphones. 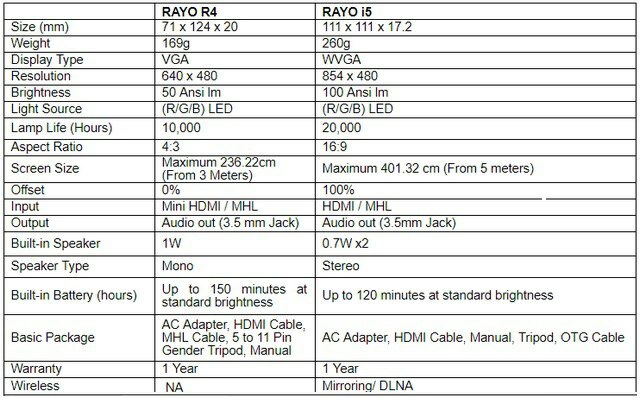 The Rayo i5 projects videos at WVGA resolution and offers a stable and continuous brightness output measured at 100 Ansi lumens. The device comes equipped with a 1,900 mAH battery which is claimed to provide a maximum projection time of 120 minutes at standard brightness, with a LED source lifespan of up to 20,000 hours. 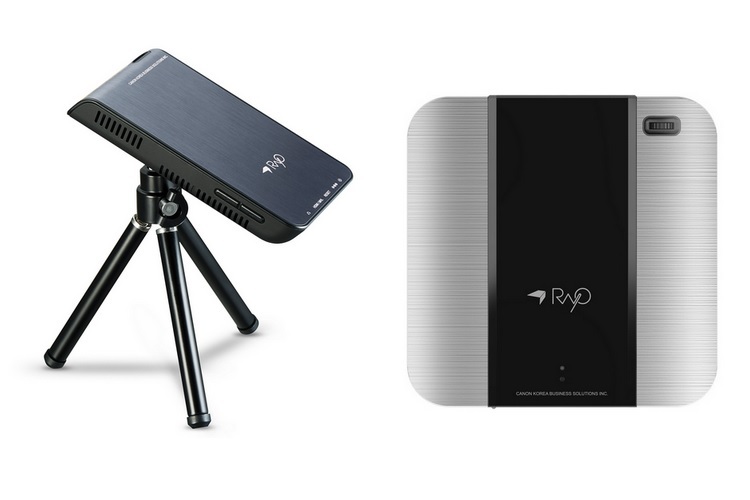 The Rayo i5 mini projector is priced at Rs 50,000 and will go on sale starting next month. The R4 mini projector connects with smartphones/tablets via MHL cables and with laptops using a Mini HDMI cable to deliver a playback time of up to 150 minutes at standard brightness levels and 640 x 480 (VGA) resolution. 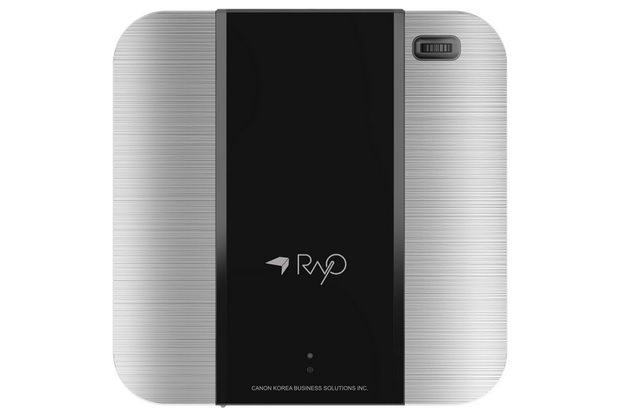 The Rayo R4 comes equipped with a 1,700 mAH battery, while its LED light source has a lifespan of 10,000 hours, with the whole packaging carrying a price tag of Rs 30,000. Both the mini projectors also come with a tripod stand in the product package, which is an added bonus.